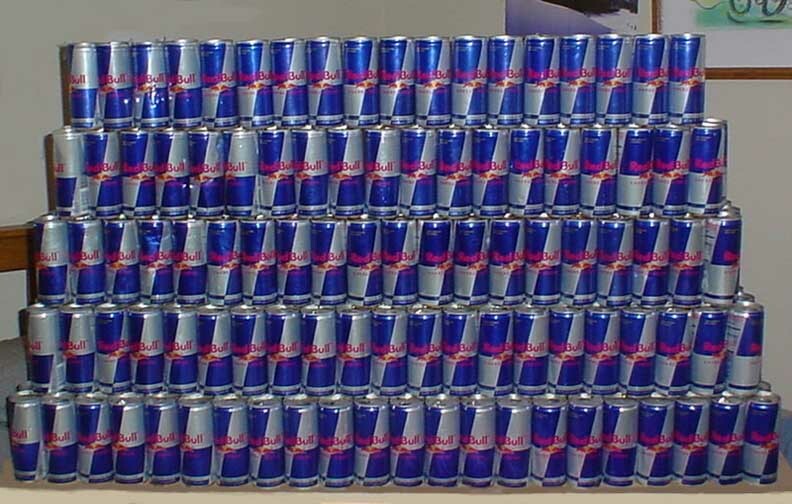 This page tells my thoughs about Redbull. I would just like to say that I think that what Redbull is doing for people is a great thing. the reason that I say that is because whenever or where ever if your down and need some help getting back on top Redbull is always there for you. If its a test at school or a compotition on the hill Redbull will be there and ready to get you pumped up and take you to the highest level it possibly could to make your mind and body perform the best that its able to.Thanks Redbull. This is a pic of my Redbull mid thats in my room. I've been working in it for the last year and there is 445 cans!